To find all of my wss visit my web shop: http://zaildacoirano.com. If you live in Brazil, visit: http://zailda.com.br. 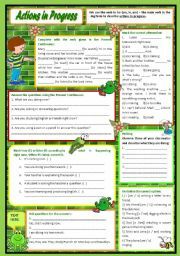 The ws includes explanation, examples and exercises on "why-questions" with a B&W version on the second page. It´s completely editable / correctable. Hope it´s useful. Thanks for downloading and "Merry Christmas"!!! 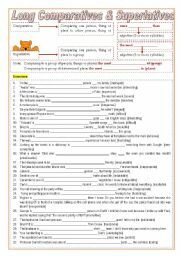 A worksheet dealing with the relative pronouns who and that with a brief explanation, examples and exercises to practice. There’s a B&W version included and the teacher’s handout with keys are on the last page. It’s completely editable / correctable, hope you can use it. Thanks for downloading and have a nice day! 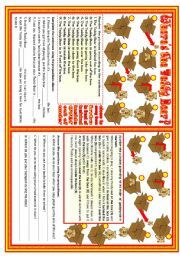 A worksheet to practice the prepositions with 4 different tasks. It’s non-editable, consists of two pages and includes a B&W version. 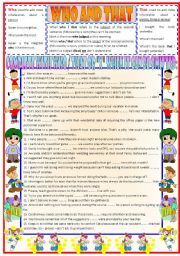 Find more prepositions wss: http://www.eslprintables.com/buscador/buscar.asp?nivel=any&age=0&tipo=any&contents=prepositions&userid=224620&user=zailda / thanks for downloading and have a nice day! 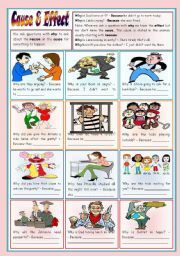 This ws deals with the use of the possessive adjectives and pronouns, contrasting the differences between them. My students always feel insecure to use either ones or the others, so I decided to create this ws to clarify and practice the topic. Hope you find it useful! A ws for my intermediate ss to practice the comparatives and superlatives (3 syllables or more) with a grammar guide and tons of exercises. It´s completely editable / correctable. Hope it´s useful. Thanks for downloading and have a nice day! 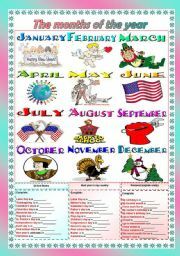 Based on US special dates ss fill in with months; special dates in their country; their personal special dates. Ss have to explain their personal dates orally. 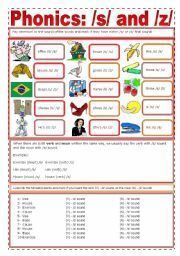 I designed this ws for my elementary students (book 2) to practice the months and special dates in US and Brazil. Hope it´s useful. Thanks for downloading and have a nice day! What do they sometimes do during the week? Another ws of the set on present simple and adverbs of frequency. 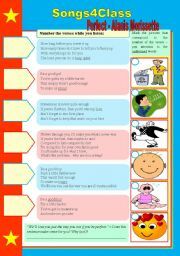 This time I´ve chosen "sometimes" and prepared exercises also using the days of the week. Hope it´s useful. Thanks for downloading it and have a nice day! Phonics to practice /s/ and /z/ sounds. I prepared for my intermediate who usually have some problems pronouncing and recognizing these sounds in words. 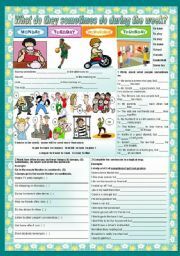 With a script to be read for the teacher or prevously recorded to play during the exercise in class. 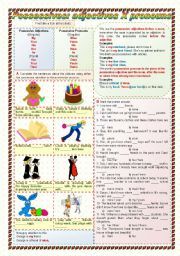 The word sounds and pronunciation were checked at http://howjsay.com.